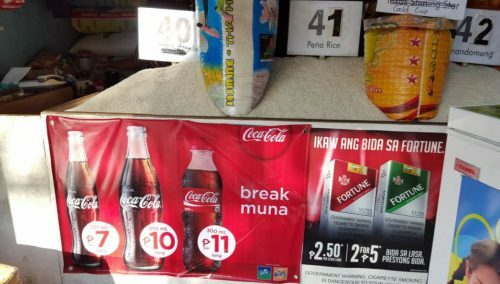 The famous Coca-Cola Mismo, the product of choice for roadside vendors in the Philippines, has now been upsized to 300ml with the price retained at PHP 11. The new bottle with the note “50ml free” was launched in the market in the first quarter of 2017 to replace the previous 250ml packaging. As part of the commercial strategy, Coca-Cola FEMSA S.A.B. 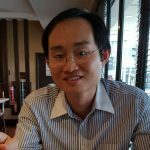 de C.V., said in its latest Q2 2017 earning transcript that it has upsized major carbonated soft drink packages to emphasise the attractiveness of its portfolio. 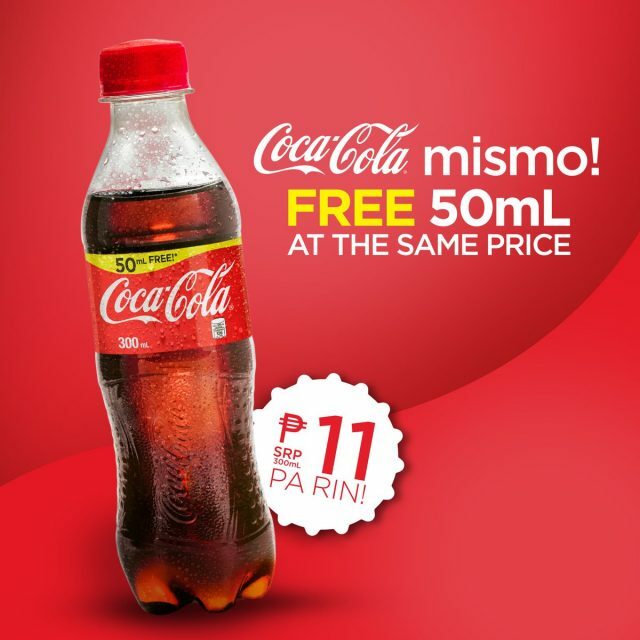 Interestingly, the 300ml Mismo with a suggested retail price of PHP 11 was already spotted in January 2016. Image above was photographed by the author in Manila in January 2016. PHP 7 is the 237ml Timeout Coca-Cola in returnable glass bottle. PHP 11 is the 300ml Mismo. 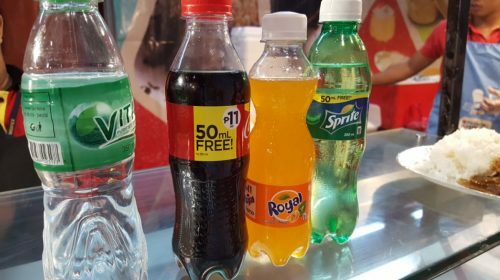 The new Mismo 300ml (including 50ml extra volume) covers not only Coca-Cola but also other flavoured sparkling water including Royal and Sprite, all selling for PHP 11. The 300-ml PET bottle called Mismo, first unveiled in Q2 2013, was developed for on-the-go drinking and was meant to serve as an alternative to returnable bottles. The affordable PHP 10 price point was aimed at consumers upgrading to single-way from returnable. In 2014, a slimmer 250ml Mismo was introduced to replace the 300ml Mismo. Coca-Cola FEMSA S.A.B. de C.V. is optimising its sparkling portfolio towards non-returnable and single serve to generate higher value. 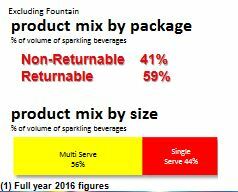 The share of non-returnable as a share of sparkling beverage has increased to 41% in 2016 from 21% in 2013. 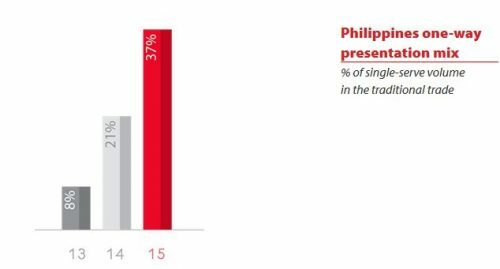 Data above on the Philippines one-way presentation mix comes from Coca-Cola FEMSA 2015 annual report. One-way presentation is set to continue to gain share from non-returnable. Going forward, the focus will be on the non-carbonated beverage category including juice and water. During the first half of 2017, the Philippines operation of Coca-Cola FEMSA S.A.B. de C.V. achieved growth of close to 18% in the water portfolio, according to the company’s Q2 2017 earnings transcript. Non-carbonated beverage category increased by nearly 11% led by juices offset by a fall in powder. The proposed sugar tax hike is a dark cloud in the horizon.